Pow’r Wrap has been producing on-deck bat sleeves and weight for over 25 years. Bat sleeves have been shown to yield a faster bat head speed at the plate, which, in turn, produces a more powerful swing and less foul balls. Young players in particular struggle to swing the bat in a timely manner and often miss a pitched ball completely of foul it off. Of course, much of this has to do with the development of hand-eye coordination (which comes with time) but, as far as bat speed, the sooner the batter is able to get the bat head across the plate, the more of a chance he/she has in making solid contact with the pitch. That is why swinging with an on-deck bat sleeve, like the Pow’r Wrap bat sleeve, is so important. It gives the batter more control over the bat. Pow’r Tac is a spray-on grip enhance that was originally intended for use in the sports of baseball and softball so that batters could gain a better grip on wooden and metallic bats and they would not go plying with ever swing. We can find no evidence that it is allowed in professional sports, but there is allegorical evidence that it is approved for some youth league. Grand Enterprises West claims that the spray is widely used in such venues as youth hockey, golf, tennis, track and field, equestrian sports, strongman competition, and even disc golf. There are even claims that the product has been picked up by some Hollywood stuntmen. Golf Tac grew out of the popularity of Pow’r Tac and was developed in the latter end of the 1990’s. The company, in a refreshingly transparent move, claims it is the exact same formula as the Pow’r Tac, it just features a golfer on the label and, therefore, is marketed to golfers. Golf Tac, we are told, conforms with all USGA rules and is used by many pro and amateur golfers. In 1990, Grand Enterprises West introduced the Pow’r Wrap, a wrappable bat weight of on-deck batters. By the end of the year, the product was approved by the United States Slo-Pitch Softball Association (USSSA) as well as the Amateur Softball Association (ASA). In 1994 the softball the product gained the support of the National Softball Association (NSA, and it remains the only product still endorsed by the three organizations. The product was also picked up by Little League Baseball® in 1993, and the Pow’r Wrap remained the only approved warm-up weight of on-deck use until 2006 when the league banned the on-deck circle altogether. Ironically, in the name of safety, the no on-deck batter rule removed from the game the very tool that could have prevented some of those dangerous foul balls in the first place, and it created a rift between Pow’r Wrap and the league that has yet to be repaired. What makes Little League Baseball®’s decision to ban on-deck batters for Tee Ball, Minor League, and the Little League (Majors) Division so strange is that every other facet of baseball and softball – from junior high on through college – uses the position at all levels of play. Despite this setback, though, the Pow’r Wrap is still the only officially endorsed warm-up weight in softball leagues across America, and it has been adopted (though not officially endorsed) by many MLB players including Matt Holliday, Hanley Ramirez, and Giancarlo Stanton, who, incidentally, was born in the same year that Grand Enterprises West went into business. Giancarlo, now a New York Yankee, crushed this mammoth home run in 2016 as a Miami Marlin at Dodger Stadium, and you can watch it here. The ball traveled 475 feet, which, by all accounts is a monstrous home run, but actually doesn’t even make it on the longest home runs list. Not only can players increase their bat speed with these bat weights, the Pow’r Wrap bat sleeve also helps the build muscle in the off-season and can be added to any workout or training regimen for better batting. The upshot is that player will hit the ball further and with more power using these sleeves. The sleeve is the same for adult baseball and softball bats and weighs 24 ounces (only the shank varies). Youth baseball weight weighs 16 oz. The material consists of recycled, nearly indestructible polycarbonate plastic. 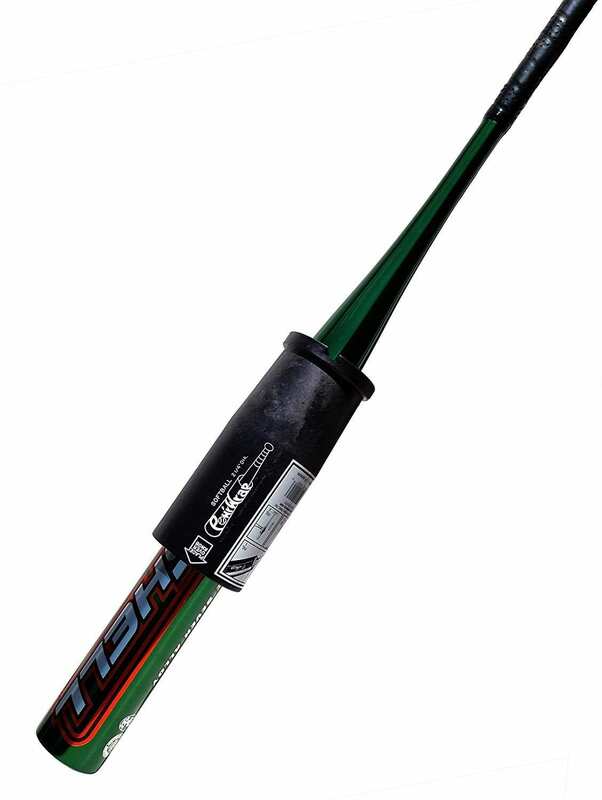 Designed to fit 2 ¼ inch youth baseball and softball bats. Basebal version fits 2 ⅝ – 2 ¾ diameter barrels. The Pow’r Wrap bat sleeve is approved by the NSA, NCAA, ASA, USSSA, and NFSHSA. The weight (1.8 pounds) at the meat of the bat makes an ideal training tool. It comes in three colors, signifying which sport it is recommended of – white for men’s baseball, blue for youth baseball, and black for softball, though blue and white weight are considered to be interchangeable. In a side note on Polycarbonates, for those of you paying attention, they were first discovered in 1898 by the University of Munich scientist, Alfred Einhorn. Not receiving much love at that time, the substance was abandoned until the 1950’s went research resumed with the Bayer company. Polycarbonates were originally brown in nature, but, the process of creating the polymer was refined until the product became “glass-clear,” allowing for more possible light than glass in some cases. The description begins to make sense when one considers the applications include glasses, sunglasses, police riot gear, motorcycle and car parts, airplane panels, electronics, and even drinking glasses. Also a natural choice for many athletic applications, the finished material is strong, durable, shock-resistant, and heat resistant. Plus, unlike other thermoplastics, it can undergo large deformations without cracking or breaking (sort of like a self-healing tire). Out of all of the benefits of a Pow’r Wrap bat sleeve, though, probably the most important asset a batter will gain is the aforementioned bat speed. The faster you can get that bat head moving to make contact with a baseball or fast-pitch softball, the better the chance of making solid contact with it to send it hurtling into the air. Many slow-pitch softball players also concede that bat speed is even more important in slow-pitch competitions. And, if you were upright and facing the right way in science class during the unit on Isaac Newton, it should be easy to understand why. It has to do with velocity more than muscles. Sure, if a batter is on the “juice,” like Canseco, McGwire, or Sosa, it is a whole lot easier to bash whatever pitch is thrown their way, but, remember, even if muscles are not your batter’s milieu, an object in motion wants to stay in motion until another force acts on it (Newton’s First Law). That is why it is easier to hit a fastball further than an off-speed pitch – because the bat, with good bat speed, can connect with the speeding ball and relay its inertia in the opposite direction. Of course, not everyone is so quick to jump aboard the Pow’r Wrap bat sleeve bandwagon, and at least one site lists some definite caveats you will want to consider. Some reviewer mentioned that the sleeve may scratch the bat and it could get stuck on the barrel (keep your jokes to yourself; you know who you are). And one astute reviewer aptly wondered why the product did not come in heavier weights, which we thought was an excellent question. Another review pointed out that you can’t actually hit balls with it in practice. Pro batters often like to take batting practice in a cage, and one of the major caveats of the Pow’r Wrap bat sleeve is that you can’t use the weight while taking batting practice like you can with similar products from Varo and Easton. Admittedly, though, as far as the actual weight goes, it is probably better distributed with the Pow’r Wrap bat sleeve, as the wrap extends around the meat of the bat. However, that can be both a plus and a minus. as the Pow’r Wrap fits on most wooden and metal bats, but not all of them. For a universal wrap that does that, you will have to check out a product that is slightly more expensive, like this Rap from Varo. Still, there are a lot of things the Pow’r Wrap bat sleeve does well, and, between it price point, its performance in the field, and its many technologically advantages over competitors, it did well enough to bag the number one spot in this bat weight rating site. Moreover, the different color indicates which league it is recommended for, while softball and youth league weight are thought to be interchangeable. 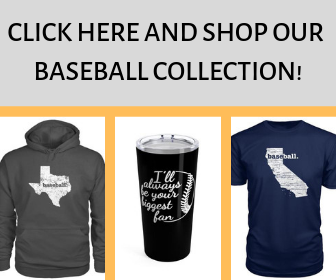 Also, the product is manufactured right here in the U.S.A., so you can be proud about supporting the nation’s economy and its national pastime.